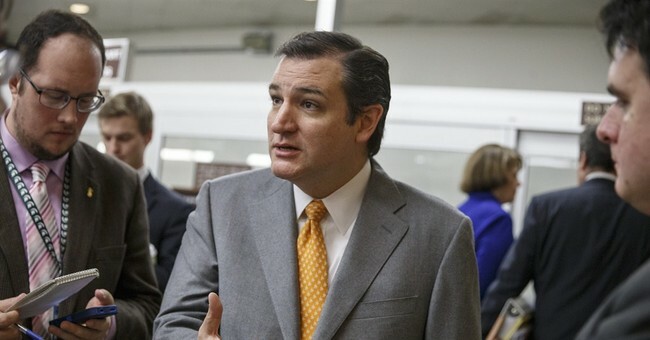 Freshman Senator Ted Cruz says many things that need to be said and says them well. Moreover, some of these things are what many, if not most, Americans believe wholeheartedly. Yet we need to remember that the same was true of another freshman Senator, just a relatively few years ago, who parlayed his ability to say things that resonated with the voters into two terms in the White House. Who would disagree that if you want your doctor, you should be able to keep your doctor? Who would disagree with the idea of a more transparent administration in Washington, or a President of the United States being a uniter instead of a divider? There are many things like this that freshman Senator Barack Obama said that the overwhelming majority of Americans -- whether liberal or conservative -- would agree with. The only problem is that what he has actually done as President has repeatedly turned out to be the direct opposite of what he said as a candidate. Those causes are not being served when Senator Cruz undermines the election chances of the only political party that has any chance of undoing the disasters that Barack Obama has already inflicted on the nation -- and forestalling new disasters that are visible on the horizon. ObamaCare is not just an issue about money or even an issue about something as important as medical care. ObamaCare represents a quantum leap in the power of the federal government over the private lives of individual Americans. Chief Justice Roberts' decision declaring ObamaCare constitutional essentially repeals the Tenth Amendment to the Constitution, which declares that powers not given to the federal government belong to the states "or to the people." That central support of personal freedom has now been removed. The rest of the structure may not last very long, now that the Obama administration is busy quietly dismantling other bulwarks against the unbridled power of the government in general, and the unbridled power of the presidency in particular. The Federal Communications Commission, for example, is already floating the idea of placing observers in newspaper editorial offices to "study" how decisions are made there. Nothing in the Constitution grants the FCC this dangerous power, nor is there any legislation authorizing any such activity. But what the federal government can do is not dependent on what the Constitution authorizes it to do or what Congressional legislation gives them the power to do. The basic, brutal reality is that the federal government can do whatever it wants to do, if nobody stops them. The Supreme Court's ObamaCare decision shows that we cannot depend on them to protect our freedom. Nor will Congress, as long as the Democrats control the Senate. Like many political ideas, this one is not new. It represents a political strategy that was tried long ago -- and failed long ago. What such clever strategies overlook is that there can be a point of no return. We may be close to that point of no return, not only with ObamaCare, but also with the larger erosion of personal freedom, of which ObamaCare is just the most visible part.